Solve multitudes of unique levels each with their own special design. 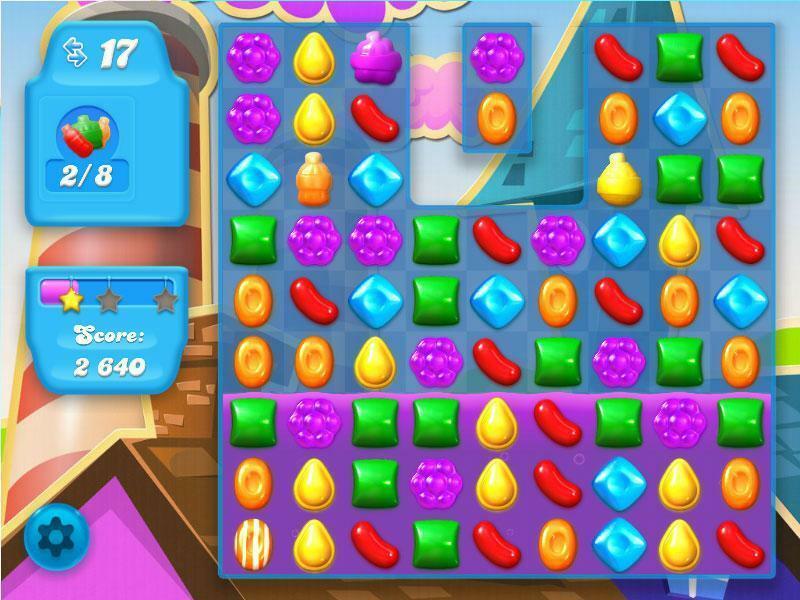 Candy Crush Soda Saga is another amazing game by the developers of the original Candy Crush that aims to earn its popularity by giving players a new kind of match-3 gameplay that differs quite heavily from the traditional formula that’s been used over the years and needless to say, it works out quite well as the game is an absolute delight to play and looks even better on top of that. 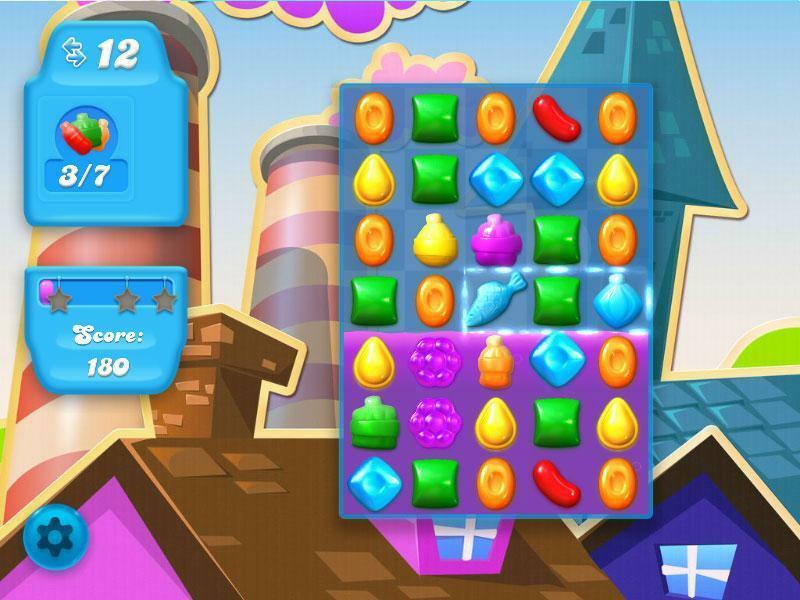 The initial few levels of the game are tutorial levels built for players to get a basic feel for the game and teach players about all the new in-game mechanics and the special candies that they can form. It’s not really necessary due to the simplicity of the game but it is still a worthwhile feature as there are always new players coming in to play who have no idea how match three games work. One rather interesting part that even though these are tutorial levels, you still lose lives if you fail in them so it’s best to be careful at all times when playing. There’s no arguing against the fact that to provide a unique and fresh gameplay experience in such a popular genre, the game would have to risk changing the traditional formula significantly which is a really high risk-high reward maneuver but ultimately it pays off incredibly well. The gameplay feels amazing and rewards thoughtful decisions a rather than playing by spamming through every possible combination you can find. 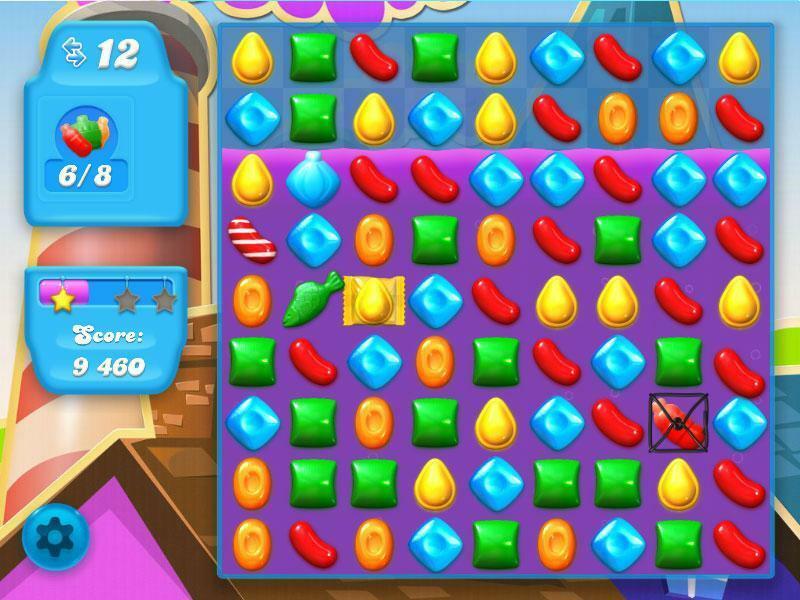 While the objective in the original candy crush was to simply pop a specific candy ‘x’ amount of times or reach a specified score, it’s a lot more different this time around as you’ll have to pop bottles to raise the soda level and a level is completed when the soda reaches the highest point there is. Of course it isn’t always that simple as you’ll have a limited amount of moves to do so and often times there will also be a timer that you’ll have to race against if you want to progress to the next stage. Candy Crush Soda Saga sees the return of old special candies from the original Candy Crush such as striped candies and color bombs but doesn’t hesitate to add some new features like the ability to create fish by popping four candies in a square shape. Moving onto the visuals, the game is an absolute treat to look at and is visually an improvement over its predecessor in almost every way. The candies look a lot sharper and clear, the color palette used is much more fitting and the animations of the game are simply phenomenal. Everything looks and feels incredibly fluid making this one of the best match-3 games when it comes to visuals. Of course there are the regular micro-transactions for example being able to purchase lives or certain boosts for real world money but these are it. You can also get these same things simply by playing through the game so going through micro-transactions is completely optional and in no way necessary. The match-3 genre needed innovation and Candy Crush Soda Saga does exactly that by providing a new gameplay formula and top notch visuals.